The biggest event in YouTube (and possibly internet) history took place in Manchester on 25 August. Unless you’ve been living under a rock or avoiding social media, odds are you were aware of the HUGE boxing match between Olajide ‘KSI’ Olatunji and American vlogger Logan Paul. 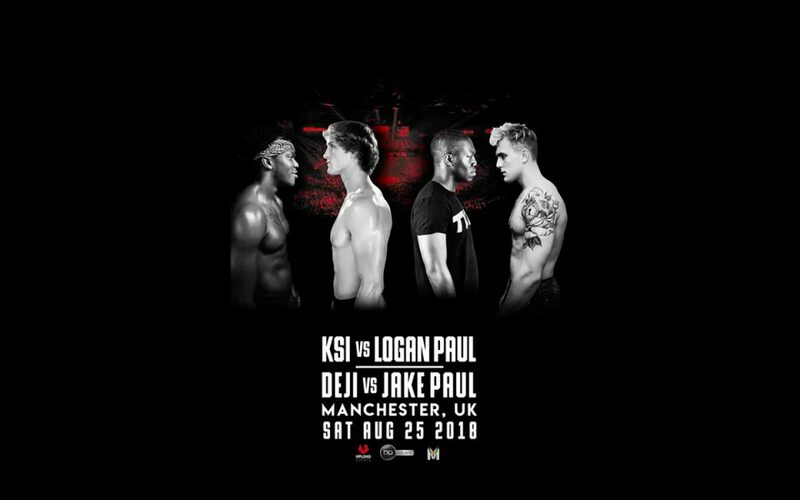 The pair, who faced off at the Manchester Arena this past Saturday, had been hyping up the fight for months, with Logan having officially accepted KSI’s challenge back in February. The hype was so huge that 21,000 spectators filled the arena to watch, while many more (we’re talking A LOT more) watched via either the official pay-per-view showing or through illegal streams. 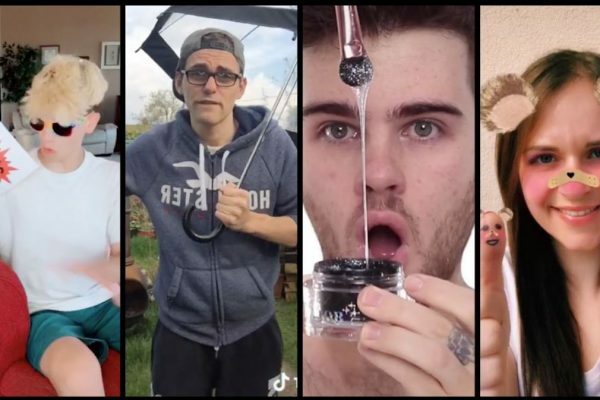 Many of those participating in the hype were our favourite YouTubers. Loads of them tuned into the fight, live tweeting their thoughts throughout. In case you missed anything, we’ve rounded up the best from the night, because that’s what we do best. Without further ado, here’s how our faves reacted to the KSI and Logan Paul boxing match! Many of our faves, including Roksana Janiszewksa, Mikey Pearce and Joe Weller (who fought against KSI in February), were pretty excited for the fight. Given the amount of hype that had been built up over the past few months, it’s no surprise the YouTube community was bursting with anticipation! One of the real winners to come out of this event was definitely The True Geordie. Not only was his commentary during the match top notch, but beforehand he also capitalised on the hype by releasing the boxing app, BoxTuber. Mad props to him, for sure! Unbelievable respect to Deji, he may have lost but he won everyone’s respect. We knew the fight between Deji Olatunji and American vlogger Jake Paul was going to be intense, we just didn’t realise how much so. Both YouTubers put up one hell of a fight, and while Deji might have lost in the end, we felt he did a good job. As Toby Dobson said, he definitely gained the respect of many. We’re not sure whether Jake was still on a high from winning or what, but he ended up challenging Chris Brown to a fight… You could say our reaction was very similar to that of Hannah Leigh. We think “punchy punchy fight thing” sounds 10 times better than “boxing match”, Becky James. Does anyone else agree? Tons were tweeting out their predictions beforehand, but one of the few to hit it right on the nose was Tom Cassell. After six intense rounds, a draw was officially called. Many of those watching were rooting for the hometown favourite, including Lucy Moon and Anastasia Kingsnorth. YouTube Rewind 2018: All YouTubers are thrown into a boxing ring. Last person standing gets to do the This Is America parody skit while doing Fortnite emotes. We’d be very surprised if the boxing match isn’t referenced in this year’s YouTube Rewind, especially given how many viewers tuned in. Man that fight.. First two to Logan, tie on the third, slightly more JJ on the 4th and totally JJ on the last two rounds. I'm not surprise it's a draw! Was it just us or was the fight a real nail biter? Both KSI and Logan put up on hell of a fight, so it definitely comes as no surprise to us the match ended in a draw. We really like Martyn Littlewood‘s insight in the latter part of this tweet. If KSI had slightly adjusted his fighting style, would he have been the one to come out on top? This might sound a bit cynical, but the majority of the world is driven by money, so does it come as any surprise that the fight might have also focused on it? As Chai Cameron points out, capitalism is a very real concept. There are many who share the belief that the fight was rigged and that a draw was always going to be the outcome. A potential motive for this? Money, money and more money! I seem to be one of the few people that think KSI vs Logan fight was not rigged… how on earth would you choreograph 2 unpredictable rivals to throw full punches to the head for 6 rounds the same number of times each? Some, like Dan Bull, find it hard to believe the fight was rigged, given what went down. Massive shoutout to @KSIOlajidebt @ComedyGamer @LoganPaul @jakepaul you guys put on one hell of a show for the world! Regardless of your opinions about the match, it can’t be denied just how much of an impact it’s had. 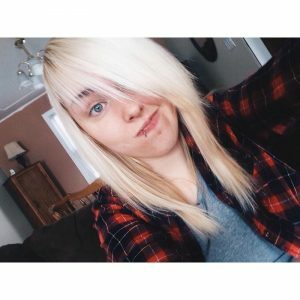 A real game changer in the world of online entertainment, it showed the influence online creators have – enough to rival even the biggest fights shown on traditional media. Times are a changin’ and traditional media better jump on the bandwagon before they’re left behind. How our fave creators reacted to the KSI and Logan Paul boxing match. As you can see, it was an event of mixed opinions, but that doesn’t take away from just how monumental it was for both YouTube and online media in general. As for who ultimately will reign supreme, we guess we’ll have to wait for the inevitable rematch!